Find hotel near Oakwood Theme Park (canas .. If you’re in Pembrokeshire, Wales, and you want to visit a theme park, then you should definitely consider visiting the Oakwood Theme Park. Adults as well as children can have fun here. There are a number of rides including a small roller-coaster for children. If you want to spend a fun day out with your family then Oakwood Theme Park is the ideal place for you. You should know that the park’s opening time varies from day to day, that’s why you should check the park’s opening hours online before you plan your visit. A fantastic day out. Park was extremely quite which is a shame but all staff were very friendly and helpful. Only drenched was closed until 2pm when it did then open. We took our own food so can't comment on quality of food however prices did seem a bit high for what was on offer. The park has had some basic work done to it since my last visit a few years ago. Although more is needed to improve the overall appearance of the park. With a new area and roller coaster due to open later this year hopefully there will be a increase in guest numbers. Overall a great visit with lots of rides due to no queues. The annual pass is a fair price for what's on offer and after 4-5 visits the cost of the pass has been covered. With the new A road built nearby getting to the park is much easier. Oakwood park is very expensive. I'd advise you only to go if you have discount coupons or free tickets. I love Oakwood but the price you pay doesn't give it justice. The food here is pants. Paid around £9 for burger and chips. Not good quality food at all. Not in any sort of way. It's time to put some good food there ! The rides are great and the park is clean. Toilets everywhere. Half of the rides were closed down like drench, bounce and speed (speed was opened late). 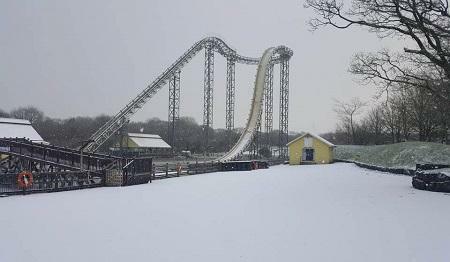 Didn't say any rides would be closed or would be delayed. when booking online. Highly disappointed! The kids enjoyed the day out. But over priced for the amount of rides. It's the same entry price as other well known larger attractions.